'I became involved with Last Chance Hotel a few years ago and am proud to be a Patron for this hard working, committed charity. I am continually amazed and humbled by the dedication and passion demonstrated by Last Chance Hotel towards every animal that comes into the rescue, not least those who need extra TLC and medical attention. 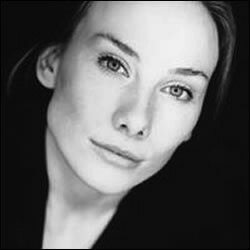 Rosie is best known for her role as Jac Naylor in the BBC medical drama "Holby City". In early 2014, having heard about the work the charity does from a Cornish based friend and wanting to use her public profile and fan base to help publicise the charity’s work, Rosie approached us offering to be a patron for the charity and donate her TV charity appearance fees. Rosie opened the charity’s first dedicated Fun Day and Dog Show and then later in the year appeared in "Celebrity The Chase" on ITV. Rosie made it through to the final round, but sadly didn't win; she did however donate her appearance fee to the charity and generated a substantial increase in views of the charity website on the evening of the program’s airing. Rosie continues to support Last Chance Hotel in many ways and we are very grateful to her for her time and commitment to the charity.